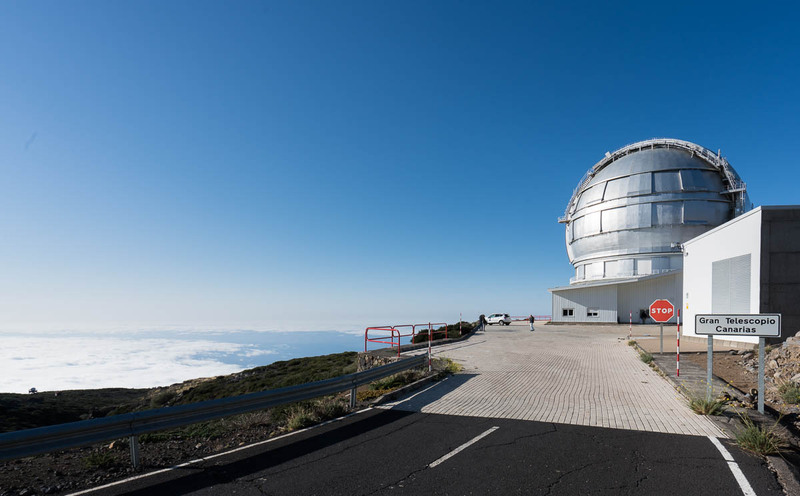 There are two telescope centers on the Canaries – the Teide Observatory on Tenerife and Roque de los Muchachos Observatory on La Palma. In the former there are mostly sun-watching telescopes; in the latter – star-gazing ones. The sun-watchers are relatively small in size (about a meter in diameter), as massive optics aren’t needed for them. 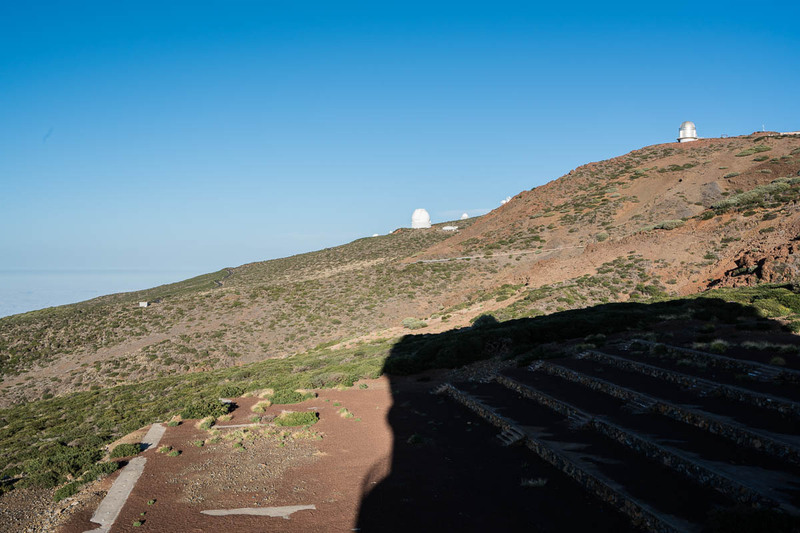 But here on La Palma the star-gazers can hardly be called small: a 17m-diameter gamma telescope and the biggest optical telescope in the world – the 10.4m Great Canary Telescope. Here they are, the beauties. We only got to see the star-gazing telescopes, as we visited in the middle of the night (too busy at SAS during the day). We saw an IAC80 and a Carlos Sanchez. We didn’t see any sun-watchers – they’re only viewable by day, when the sun’s out. Er, maybe I spoke too soon. I say it’s all astro-ICS, but look what we found a little later on: a homemade wooden handle on the end of a makeshift length of cord; and, I do believe that is duct tape, albeit silver colored (progressive!). 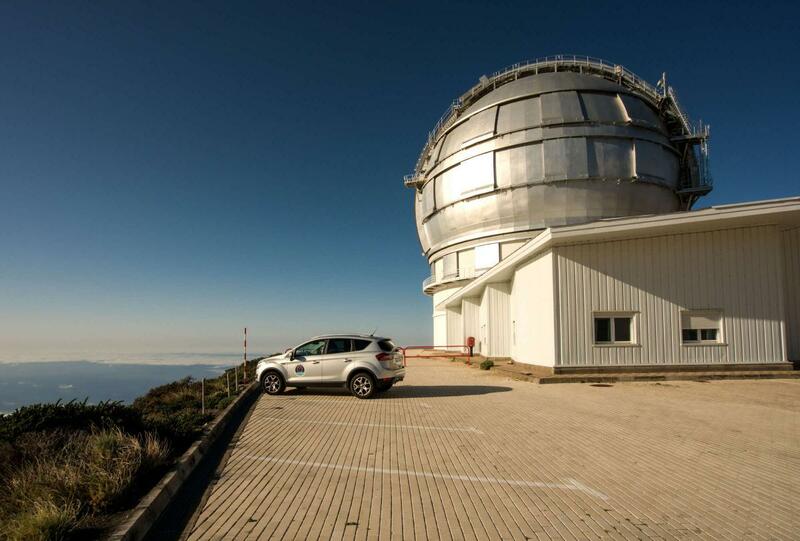 The Gran Telescopio Canarias on the neighboring island of La Palma is a lot more impressive as it’s just so colossal. Woah! Now this is a real astronomical instrument mammoth. “We should have come straight here and missed out Tenerife!” one of our party commented. The round supporting platform, the contraption upon it, plus the mirrors weigh 450 tons. Since not the tiniest of vibrations are permitted when it comes to pro telescopic kit, the turning mechanism is oil-based – no cogs grinding together. I found that if you give the construction a push, with your feet on the floor outside the revolving base, you can actually turn it! So a single human being can propel a 450-ton device! Now that’s what I call lubrication!! Just like on Tenerife, everything is networked and computerized (save for a few customizations, no doubt). 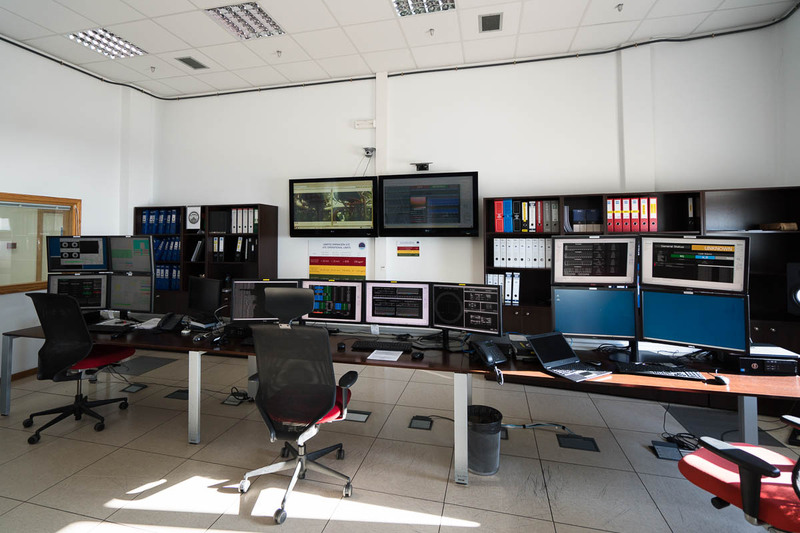 So, secure ICS aside, what actually does all this kit do? I mean, how does the light from distant stars actually reach the Nobel prize-winning astrophysicists through all this kit? “The GTC [Gran Telescopio Canarias] observes objects with an apparent magnitude of 28, and this is done in 30 minutes of exposure for every picture. Later they stack the pictures and sometimes the sum of all of them lasts 10 hours.” Very cool. The light of distant stars and galaxies is reflected off the main 10.4-meter mirror; then it’s reflected from a second mirror about a meter wide; then the light gets into the ‘tower’ in the middle of the main mirror (this tower is visible in the pics); and from there it travels to several cameras located along the edges of the main mirror. The light gets its portrait taken by the various different kinds of optics, spectrometers, polarimeters and other mysterious inventions. 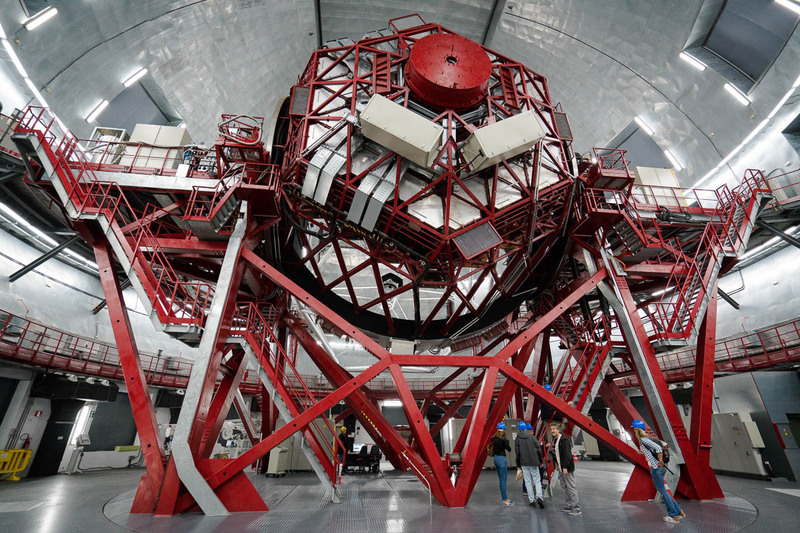 … And here we finally find it: the biggest, most astrophysical mirror on the planet! Big mirror? Time for a selfie in its reflection! A selfie in the biggest mirror in the biggest camera! Looks like it won’t be the world’s biggest camera for much longer. 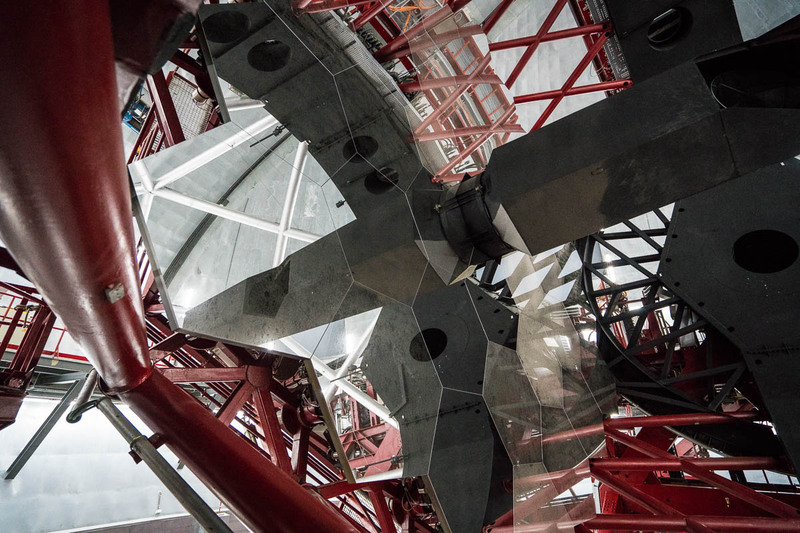 There are three even bigger ones being constructed as we speak: the aptly-named Giant Magellen Telescope in Chile (15.2 meters), the Thirty Meter Telescope on Hawaii, and the European Extremely Large Telescope (39m; European but in Chile; hmmm.). These titanic telescopes are planned to be opened in 2020, 2022 and 2024, respectively. 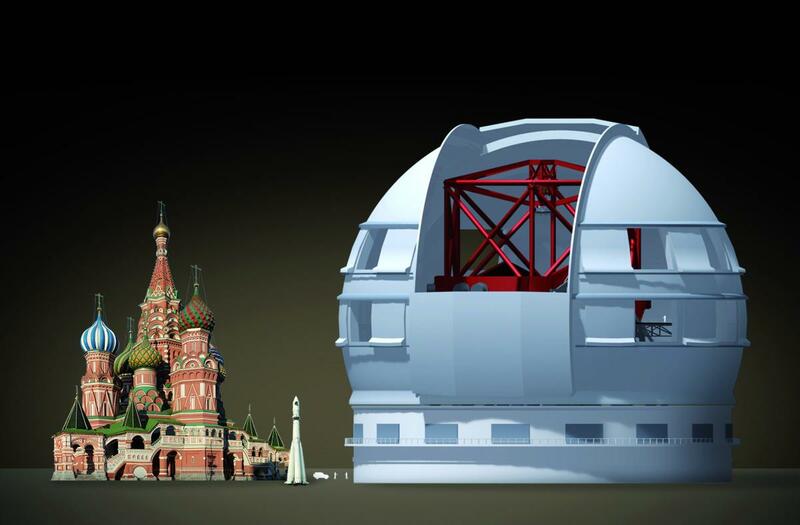 There’s also a Russian project – the Gagarin Telescope – but plans for it are only on paper as yet. Still, those plans are sure big and ambitious. 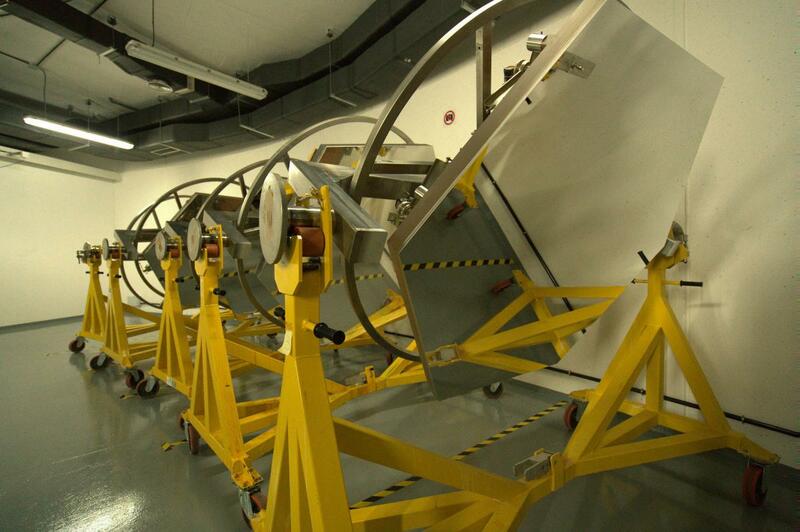 And if all goes as expected it will be the biggest of all the mega-scopes – with a mirror 60m wide! I’m not so sure about how realistic its budget it though, which in today’s difficult financial times looks simply too big: two billion dollars (the 10-meter Gran Telescopio Canarias cost 130 million euro, and the European 39-meter scope cost a little over a billion). 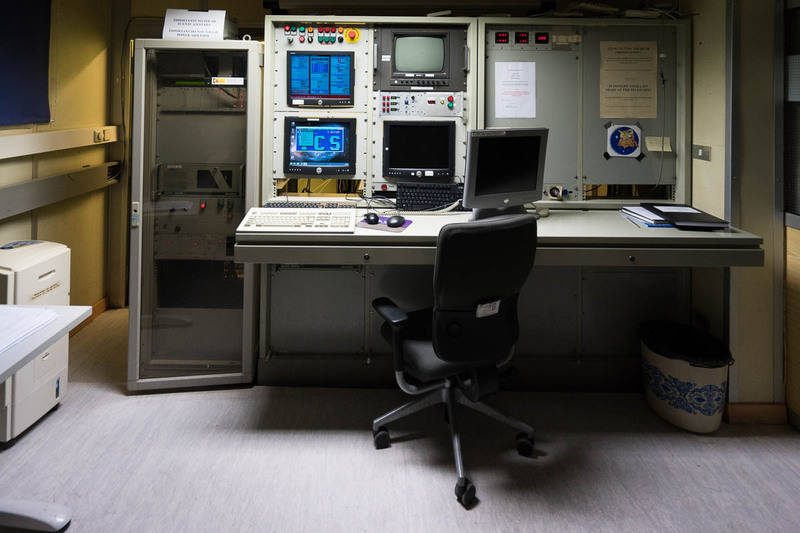 First, the Gagarin project is supported by Moscow State University. Second, all production of the kit is planned to take place in Russia – so no inflated imported prices due to the weak ruble. Third, the forecast project price was calculated years back; now, due to sharp exchange rate changes, the cost of the project in dollars will be much less. Fourth, it will be built over 10 years – optimally evening out budget outlays. Now, what the world has already is utterly cool, but, as the Canarian astronomers told me (with wide eyes and mouths agape:), when Gagarin does get up and running, what the world will have will be much much cooler. But, hold on; does the world really need another, bigger telescope? Aren’t there enough already? Actually, no – there can never be enough. The universe is infinite (or thereabouts), so studying it demands infinite (or thereabouts) resources thrown at it, I reckon. No matter how many telescopes there may be there’ll always be too few… datacenters for processing all the information they gather. 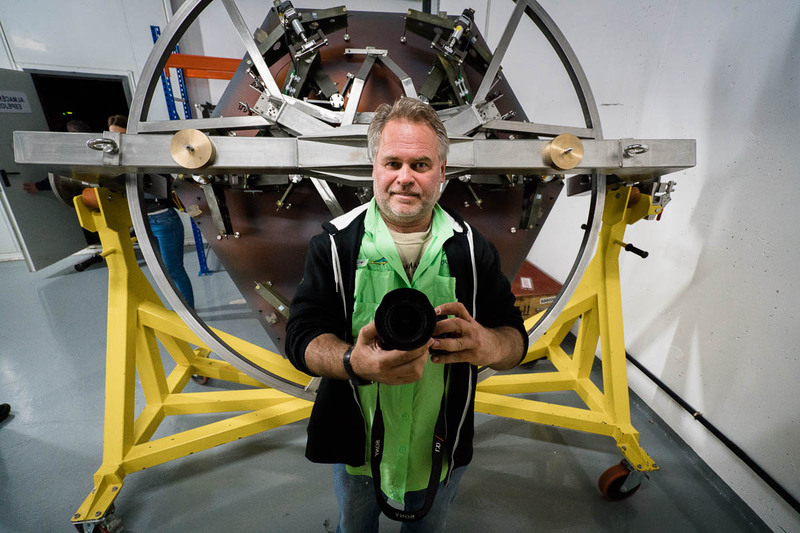 So, yeah – I’m all for the idea of a super-mega telescope with a 60-meter mirror. And I’m ready to get involved in terms of anti-cyber-maliciousness software! What else can I say about the telescope and the observatory it’s in? 1. You can’t look through the lens of this camera telescope as you do with a camera; you can only ‘look through its lens’ via a computer screen. 2. I saw the following in a corner, and thought: ‘astro-Photoshop’! 3. Just like any other object, the mirror collects dust. It’s cleaned with a high-pressure jet of carbon dioxide, and occasionally the mirror elements are dismantled and sent for polishing. 4. Here, right by the GTC the Starmus Festival takes place. Must get to the next one, which happens to be this year. Taking part in the festival are always big names from the fields of science, space travel, astronomy – and rock music! Rick Wakeman‘s been known to take part, as has Brian May, who is also, besides the Queen guitarist, an astrophysicist! 5. 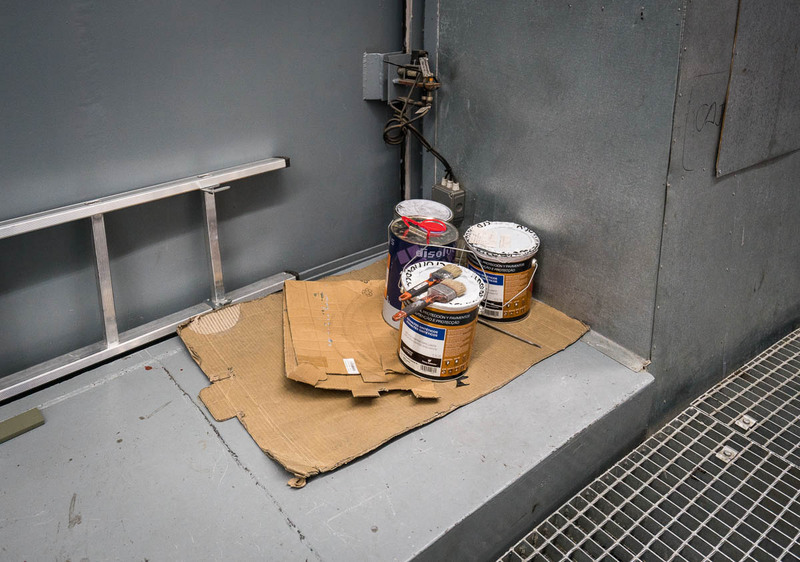 The astronomers have picked the perfect spot for their ‘office’. All around: beautiful scenery + the perfect sunny climate! 6. Here are the Galileo and MAGIC telescopes, but sadly only through the window of our bus; we’d disastrously run out of time for a closer inspection. 7. And finally… do you know where the name ‘Canary Islands’ comes from? No, not from the bird, but from the Latin for ‘dog’! ‘Dog Islands’. Doesn’t quite have the same ring or appeal, does it? 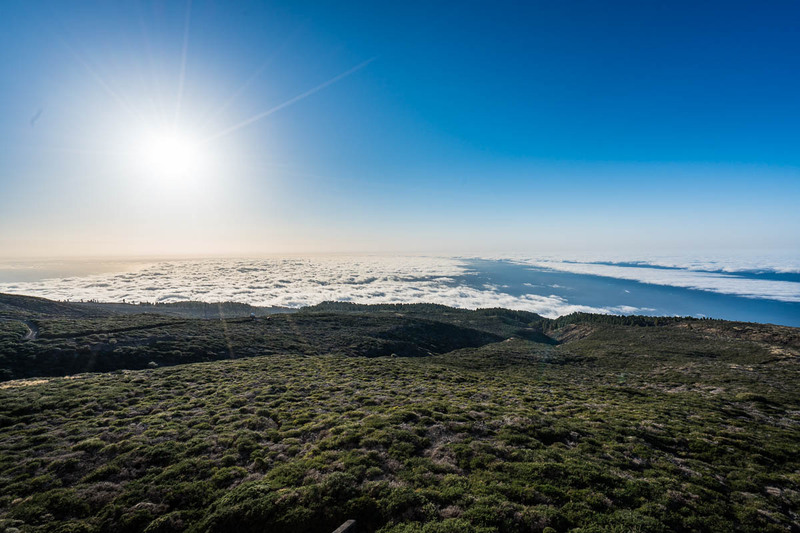 All the photos from the Roque de los Muchachos Observatory are here.